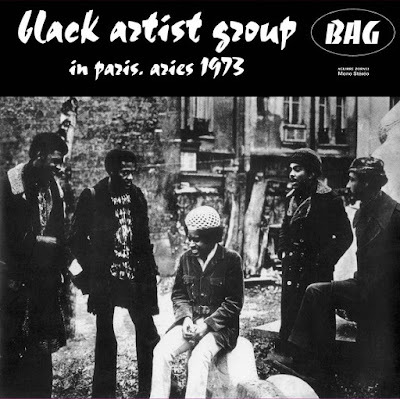 In Paris, Aries 1973 is the only album made by St Louis, Missouri art collective Black Artists Group. It is now reissued by Aguirre Records. In Paris, Aries 1973 was recorded 45 years ago. If you listen to this recording now, what do you hear? Oliver Lake: I hear our group improvising and making music, with the thought of making a pure communication. And the fact that we are talking about that night 45 years later makes me feel that we succeeded. What do you think, listening to the album now? And what do you feel? Wow, that was a long time ago. How do you remember that evening in Paris? We were excited to be making music outside the United States and have an interested audience. Before you got on stage that evening, did you made any agreements with the other musicians? A certain sound you wanted to get? Ideas you wanted to try out? Goals you settled out? Pure communication was our goal. Why was Black Artists Group called an art collective instead of a free jazz band? We were a part of a larger group, that was an artist’ collective. That group B.A.G. consisted of visual artist, dancers, poets and actors. So that’s why we were referred to as an “art collective”. How did Black Artists Group end up in Paris? We were close friends with the Art Ensemble Of Chicago, they had spent some time in Paris. When they returned to the States, Lester Bowie told me about all of the musical successes they had in Europe, so that peeked my curiosity for my band to go to Paris. When we arrived in Paris we used the same music agent that Lester Bowie used for the Art Ensemble of Chicago. Why is In Paris, Aries 1973 the only record Black Artists Group ever released? Band broke up before we had the opportunity to do a 2nd LP. Why did the band self-release the record? We believed in self-determination and owning our music, therefore we wanted to have a self released recording. Why is the album dedicated to Kada Kayan? He was a member of the Black Artists Group, he played electric bass and passed away at a very young age. The album was recorded on the day Jimi Hendrix died. Were you aware of that at the time? No, we were not aware of his passing on that day.